I have to say I’m loving doing New Wine This Week. I think before this week I’d had maybe one or two Cabernet Sauvignons from Coonawarra way, and probably just passed them off as a nice drop that I wouldn’t mind having again once every now and again. It’s when you actually make yourself sit and think about it, what do I like or not like about this wine? There was very little I didn’t like. Time (and financial) constraints left me trying just two off my list this week. They were the Wolf Blass Yellow Label from Sainsbury’s (you can obviously buy it elsewhere too) and the Berton Vineyards Reserve from Spirited Wines. Same thing happened. I drank a bit of each with and without food. The food, by the way, was lovely. The fat from the lamb chump had just started melting away into the meat, giving a lovely moisture to the food, and the mint in the mushy peas was the perfect palate cleanser. The Wolf Blass Yellow Label from Sainsbury’s was first up. Was I a bit apprehensive about rating a “big brand” wine? Well no, not really. Ok I don’t drink the brands that often (basically when a mate buys one and brings it to dinner with them), but look, if it was all crap then they wouldn’t sell. So there’s got to be something they’re doing right, right? This Wolf Blass Yellow label was very good. A lovely dark ruby colour in the glass, the smell was very strong with cloves and smokiness barely masking the heavy blackcurrant backbone. A good start. On the palate it was smooth, good balance of body and acidity, and a notably peppery finish. What was missing? Well it wasn’t the most complex, but nor was it going to be. Also it was from South Australia, and not Coonawarra specifically. This meant that the eucalyptus notes I was hoping for weren’t there. But I knew that’d be the case. With the food there was a definite aniseed tinge to the finish, not my favourite, but my wife loves that, so she was very happy. Overall, a good wine, and for £10 it’s great value. The high end of 6/10, maybe even sneaking into 7/10. (Bear in mind this is English marking, 4/10 is a pass, 6 or 7 is a good wine). The Berton Vineyards from Spirited Wines was a tad more expensive at £13, but it was a Coonwarra native. The look had a slight browny (usually called garnet) tinge to it, but the fruit aromas of blackcurrant were still very much there. That oak treatment was also pretty obvious. There were many more smells here to have a go at, but the main ones I picked up on were vanilla, cinnamon, and…wait for it…eucalyptus! Woohoo! The taste without food was really great. The fruit was ever present even well into a long finish. Just like the wine before it was a very smooth drink, with acidity and body well balanced, and no hint of alcohol excess. 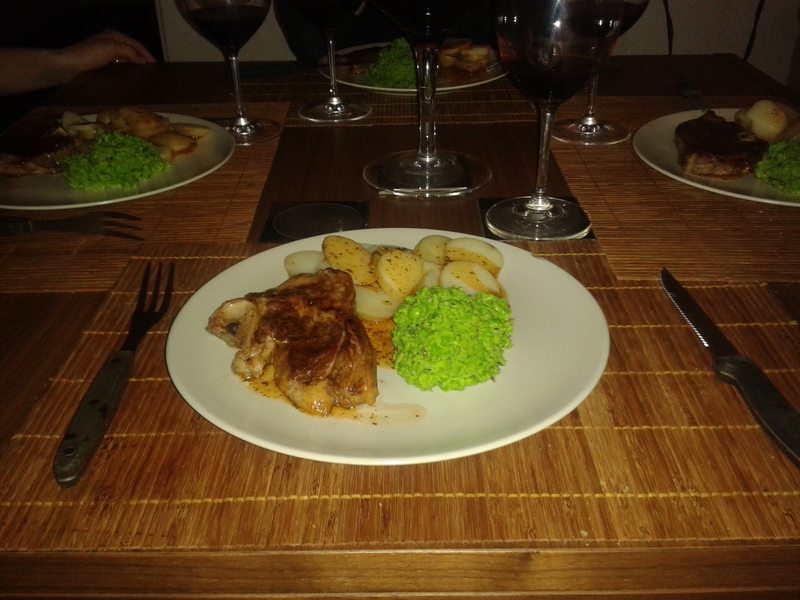 Obviously it was perfect with the food, with the minty flavours matching perfectly. I’m on the fence between 7 and 8 here…sod it, 8 it is! Great week this one, thanks to Ant for choosing it. Pressure’s on me for next week! 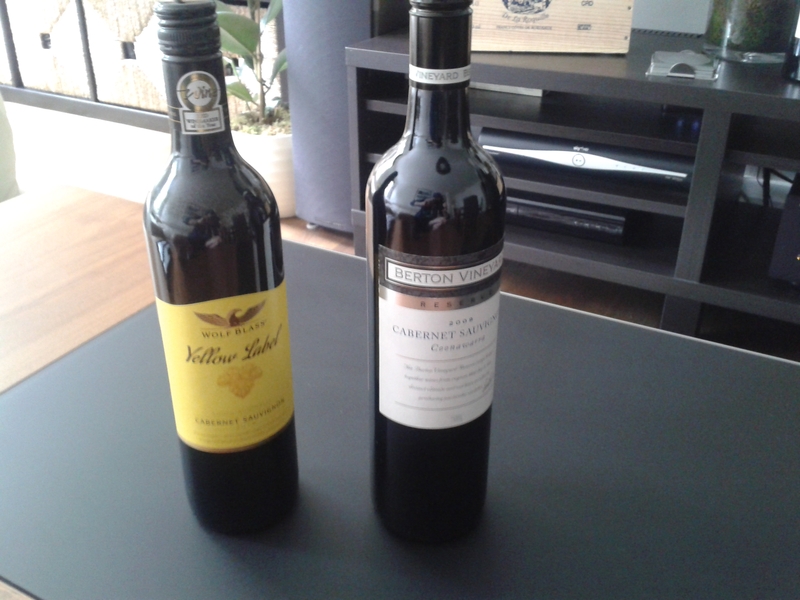 #NWTW Week 14: What Should Coonawarra Cabernet Sauvignon Taste Like?